Zhou is presently a Professor, Associate Vice President of Global Medical Development, Associate Dean of International Research, and Chair of the Department of Pharmaceutical Sciences, College of Pharmacy & Morsani College of Medicine, University of South Florida, Tampa, Florida 33612. 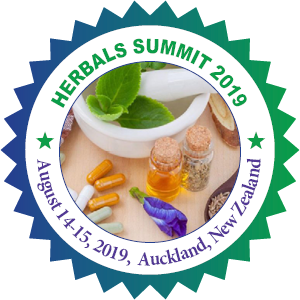 Professor Zhou completed his clinical medical training in China in 1989 and obtained his PhD in 2001 from the Faculty of Medicine and Health Sciences, the University of Auckland, Auckland, New Zealand. He continued his postdoctoral training at the University of Auckland until November 2002. Since 2002, Dr Zhou has served as a faculty member for the National University of Singapore, Queensland University of Technology (Australia), RMIT University (Australia), and now University of South Florida. Dr Zhou’s major research interests are drug discovery/systems pharmacology, drug metabolism/drug transport & pharmacokinetics, pharmacogenomics/pharmacogenetics, nanomedicine and Chinese medicine. 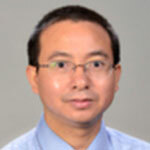 Professor Zhou has published more than 330 peer-reviewed papers in various pharmacology and medical journals including New England Journal of Medicine, Cancer Research, Journal of Biological Chemistry, Clinical Pharmacology and Therapeutics, Carcinogenesis, JPET, Drug Metabolism & Disposition, and Clinical Cancer Research. He has also published 16 books and book chapters and more than 310 conference abstracts. His work has been cited more than 8,600 times by other colleagues with a H-index of 46. He has received more than US$22.0 million grants from various funding bodies and industries. To date, he has trained 24 PhD students, 12 MSc/Honors students, 14 postdoctoral fellows and 25 visiting faculty. Dr Zhou serves as an editor-in-chief or editor for 16 journals including Drug, Healthcare and Patient Safety, Drug Metabolism Letters, and Current Drug Metabolism and is the editorial board member of more than 50 medical and pharmacological journals. Dr Zhou has given more than 100 invited seminars/keynote presentations to a variety of academic institutes, government agencies, and high-profile international conferences. He is a recipient of several teaching and research awards, a member of numerous national and international professional societies, and a visiting professor of many reputable research universities. Hongcai Shang, Deputy Director of the Research Institute of Traditional Chinese Medicine of Tianjin University of Traditional Chinese Medicine, is also Head to the Tianjin Research Center for Evidence-based Medicine and the Tianjin Institute of Clinical Evaluation for TCM. Shang, an expert on clinical evidence translation and methodology research for clinical evaluation of TCM, established the framework of an individualized clinical evaluation method for TCM. His work, highlighting assessment of outcome and effectiveness, paved the way for objective evaluation of traditional Chinese medicine. Shang was active in academia, home and abroad. He joined the “Patient Reported Outcome Method Group” for the Cochrane Collaboration in May 2008, and was a member of the drafting group of CONSORT for TCM. Nationally, Shang is on the coordination committee of the Chinese Clinical Trial Registration and Publishing Collaboration (ChiCTRPC), and is the expert reviewer of a number of influential academic journals. Azza El-Medany has completed her PhD at age of 32 years from Alexandria University and postdoctoral studies from Alexandria University College of Medicine. 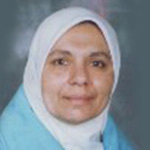 She is a Prof. of pharmacology &Vice head of department of pharmacology, College of Medicine , KSU. She published more than 40 papers in the areas of GIT, CVS, Natural products & toxicological researches in reputed journals and serving as a memberships of a number of Professional Bodies, was a speaker in a number of international conferences, the last ones in Singapore , Japan , Brazil & USA . She is a recipient of special awards in scientific research & teaching. Pr. Rachid soulimani, president of AGRESS association, responsible of "Neurodevtox" anr/europe-feder program, responsible of "Arf Tempus, Europe/Tempus program, header of Research Team Neurotoxicology and Development /Inra, University of Lorraine, France. Mohammad Zashim Uddin obtained Ph. D. at the age of 32 years and trained from USA on tropical biodiversity. His current position is Professor in the University of Dhaka and supervised 25 M.S. research students and presently guiding one Ph. D student. By this time, he published 56 research articles in different scientific journals. Recipient of numerous awards and grants, Dr. Zashim has participated at least 41 events of training program/ workshop/ international conference. He served as biodiversity expert in 20 research projects here in Bangladesh. His current research focuses are on threatened ethnomedicinal plants and conservation of forest biodiversity. His current research focuses are on threatened ethnomedicinal plants and conservation of forest biodiversity. Mukesh Singh Sikarwar is currently working as Senior lecturer in Faculty of Pharmacy, AIMST University, Malaysia. He received his PhD in Pharmacy from K.L.E. University, Belgaum India in year 2011. His current area of research is herbal antioxidants, antidiabetics and antihyperlipidemics, novel drug delivery in herbal drugs, formulation and evaluation of herbal drugs and food safety. He has more than 8 year of experience in mentoring students in Pharmacognosy and chemistry subjects. He has published 53 research and review papers in various peer reviewed internationals and national journals and also serving as reviewer for many international journals. 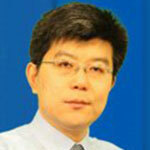 He has presented 23 research papers in various national and international conferences. 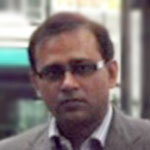 He has attended many MOOC courses and Online CME from online learning programmers. He is a life member of APTI, member of Asian Council of Science Editors, annual member of Society for Ethnopharmacology, India and registered as pharmacist with M. P. State Pharmacy Council. His current area of research is herbal antioxidants, antidiabetics and antihyperlipidemics, novel drug delivery in herbal drugs, formulation and evaluation of herbal drugs and food safety. Professor, in Pharmaceutical Chemistry and Natural products Department and Chief Academic Officer, Dubai Pharmacy College, Dubai, UAE. Faculty of Pharmacy, Cairo University, Egypt. Graduated from Faculty of Pharmacy, Cairo University, Egypt and received the PhD from the same college. 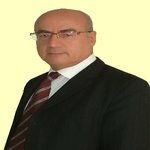 I am member in American society of Pharmacognosy and in Italo-Latin American Society of Ethnomedicine and as editorial board member in Natural Products Chemistry and research.Also I am reviewer for many international Journals concerning chemistry and biological activity of medicinal plants.I published at least 30 scientific papers also contribute in publication of scientific book. My interest field is in bioactivity of medicinal plants. 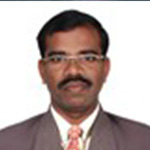 Dr. Palanichamy Mehalingam completed his Ph.D Degree in Botany from Madurai Kamaraj University, Madurai in 2000. Currently he is working as Assistant Professor in Botany, Virudhunagar Hindu Nadars’ Senthikumara Nadar College (Autonomous), Virudhunagar, Tamilnadu (India). He has produced 25 M.Phil and 7 Ph.D Scholars and also guiding 6 Ph.D Scholars. He has published more than 65 research papers in reputed journals. He has participated and presented his research papers in International Conferences held in The Netherlands, Malaysia and Thailand, China and Lao PDR. His Post Doctoral Research Experience (University Grants Commission Research Award) at the Research Department of Botany, Virudhunagar Hindu Nadars’ Senthikumara Nadar College (Autonomous) in Virudhunagar includes Antioxidant Properties of Selected Medicinal Plants during 2014-2016.. He has edited two books published by VHNSN College Publishers, Tamil Nadu. He has been actively engaged research on Ethnobotany, Pharmacognosy, Pharmacology and Phytochemistry. He was the recipient of NSS Best Programme Officer Award by Madurai Kamaraj university (2007-2008) and Government of Tamil Nadu (2009-2010) for his outstanding contribution to the Society. Ethnobotany, Pharmacognosy, Pharmacology and Phytochemistry.